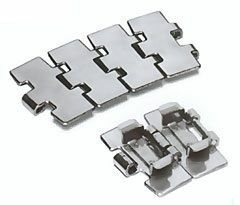 We are manufacturers of Slat Chains in Stainless Steel and Mild Steel material. We manufacture Slat Chains from 2” Width to 7.5” Width. We are supplying these chains to many pharmaceutical industries, food industries an breweries.